As surprising as it was that Trion Worlds seemed to pull a game out of its nether regions last week, I was even more surprised to learn that there was no NDA regarding it. None. Zero. Zippo. If you’re lucky enough to get in on the alpha, you’re free to talk about, write about, or stream it as much as you like. Then I thought – well, why shouldn’t it be that way? Opening up your creative work for criticism is scary enough when you’re showing it to a few close friends or colleagues. What a game company does when it first shows off its game to a wide audience multiplies that anxiety a thousand times over. 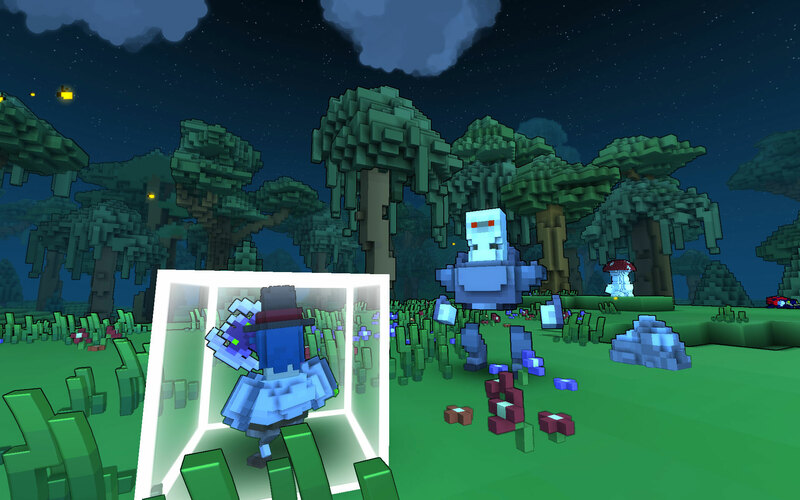 While early access to Trove will be very limited, to around 20 as Trion has said, those select few will be able to give their impressions to the countless others interested in Trove at its earliest – and potentially ugliest – stage of development. Even in the developer livestream last week, there were several basic concerns brought up during and after the stream. Why do you jump so high? Why are there so many bombs? Can people blow up your stuff? All of them were brushed off – not flippantly so, but still in a nonchalant fashion – with the “it’s still in development and we’re figuring things out” response we’ve come to accept from games in alpha and beta. 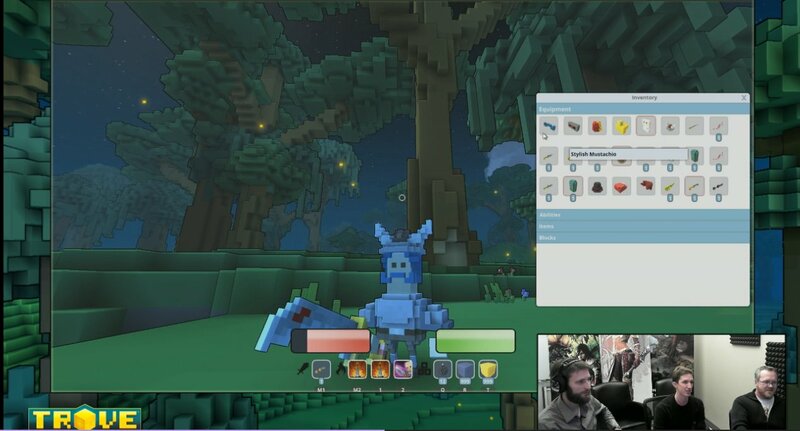 But when Trove is exposed to the harsh light of the Internet, the devs won’t be there to answer everyone’s questions. Sure, they’ll be active on Reddit and might even drop in on comments sections on articles, blogs, and YouTube videos, but they won’t be able to address everyone’s questions. Someone is going to think building is too easy or too hard, that combat looks too simplistic, that there isn’t enough variety in character models, that the game crashes too often, or some other issue. All of these are “early development” issues that will certainly receive a lot of tweaking, and most of us realize this, but showing off your game to such a wide audience so early in its development is a double-edged sword: You can get people excited about your game early, but you also run the risk of people getting a bad first impression based on seeing a non-finished product. Then there’s the popular question: Is an alpha/beta test actually a “test,” or is it just a marketing exercise – or even an outright boost to revenue, for games that sell their access? If it’s the former, then it’s understandable that it be under NDA, or at least be a little more restrictive in its information flow than “anything goes.” If anyone is allowed to share anything about it, then it seems much more to be pure marketing. Or can it be both? There’s that “other” beta, the one taking place this weekend. That’s fully under NDA, even though it seems everyone and their grandmother has a beta key. 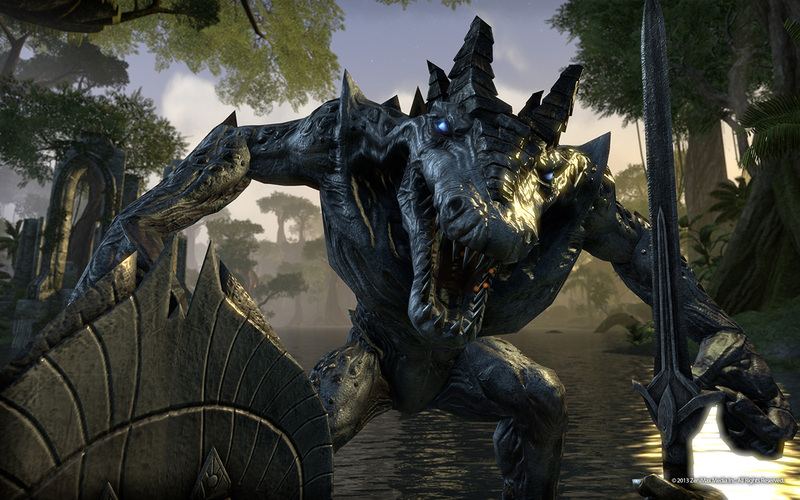 ZeniMax isn’t stupid; as many people as will have access to The Elder Scrolls Online this weekend, there will be leaks, there will be discussion, there will be people chatting about it in their voice chats for their guilds in their other games. While it does maintain the veneer of being a purer “test,” by means of a strictly enforced NDA, it also seems a little naïve, and perhaps overcautious, not to willingly open up the information floodgates. How strict an NDA is, or whether there’s one at all, during alpha and beta testing is a fine line for any game company to consider. If I was in charge, I’d probably keep things on the down-low while a very limited group has testing privileges but open it up to the inevitability of spoilers once a large group of people receives invitations. Trove may ramp up testing and invites quickly enough to make its open policy more sensible, but I think I’d be a little bit more secretive at such an early, unstable stage of development. Ok guys stop being idiots, since their voxels, OF COURSE THEY LOOK THE SAME. 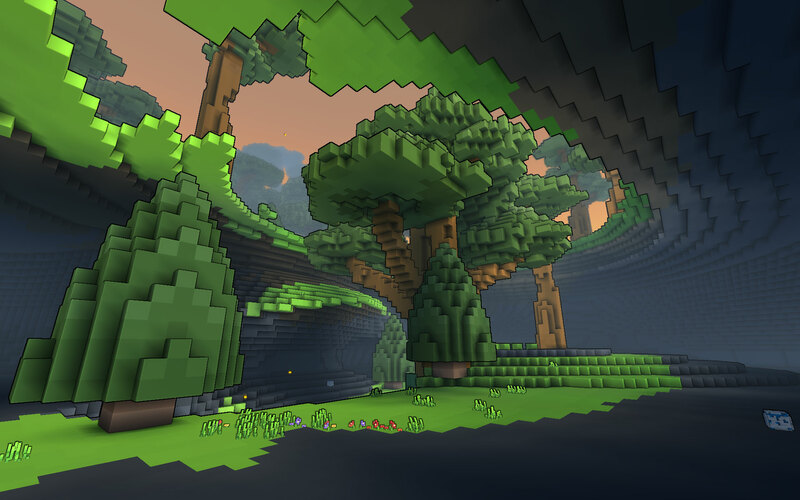 Yes, they have a lot of the same things as cube world, but I mean no matter what they made, as long as they made it with voxels it would look the same. In my opinion we should give Trove a consideration and try it out. From personal experience of playing cube world, it’s really boring at the moment and unless updates come out soon… then its gonna lose a lot of players. Complete cube world copy, seriously. why am i sticking with cube world you ask? Going with the one that comes out first. I do feel that in the last few years those games that had long betas and not much fixing was just marketing / using the term beta as an excuse to release the game early and start generating income (seems to be many games willing to let you purchase in game stuff, then sometimes reset the purchase (otherwise transfer items etc over) come official release).